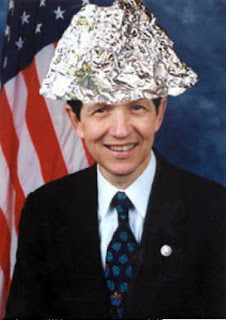 (The Washington Times) -- Rep. Dennis Kucinich has introduced a bill that would require cell phones to warn consumers how much radiation is coming from their phones, saying that until science can disprove a link to cancer, the public should be told more information. His bill, the Cell Phone Right to Know Act, would also demand a study of cell phones and health, looking at a broad array of signals that smart phones now send out, ranging from the phone to bluetooth to WiFi. "Consumers have a right to know the radiation levels of cell phones and whether they are buying the phone with the lowest — or the highest — level of exposure to cell phone radiation," the Ohio Democrat said. "They also deserve to have up-to-date exposure standards that are put together by health professionals without conflicts of interest." Your Article very nice for all of us. I am glad it was an enjoyable experience for you. I think that you should definitely do it again sometime and hopefully I will be able to make it to that one. It's really beautiful work.Thanks for this kind of stuff.I mean I am totally impressed. Hope to see more updated work here. I have to say, it is very informative.